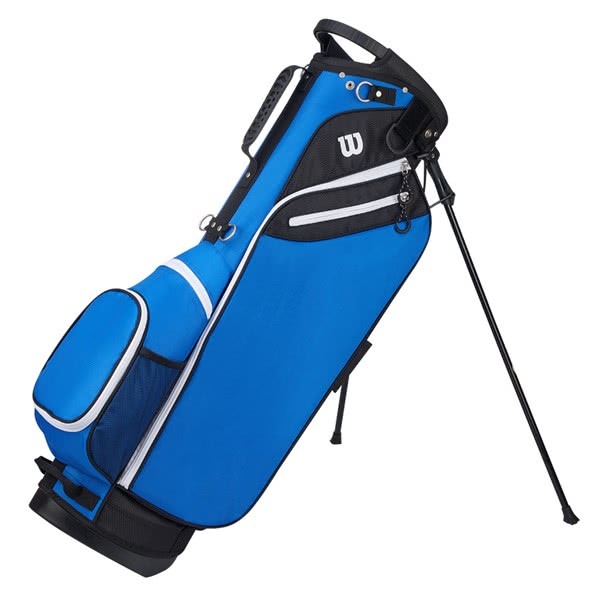 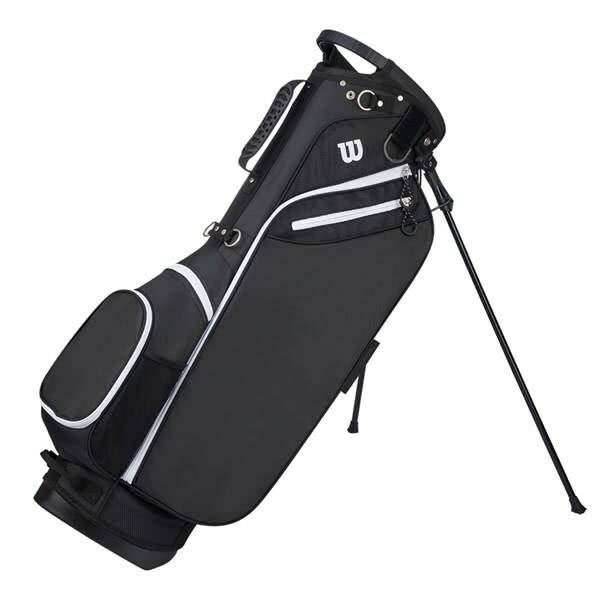 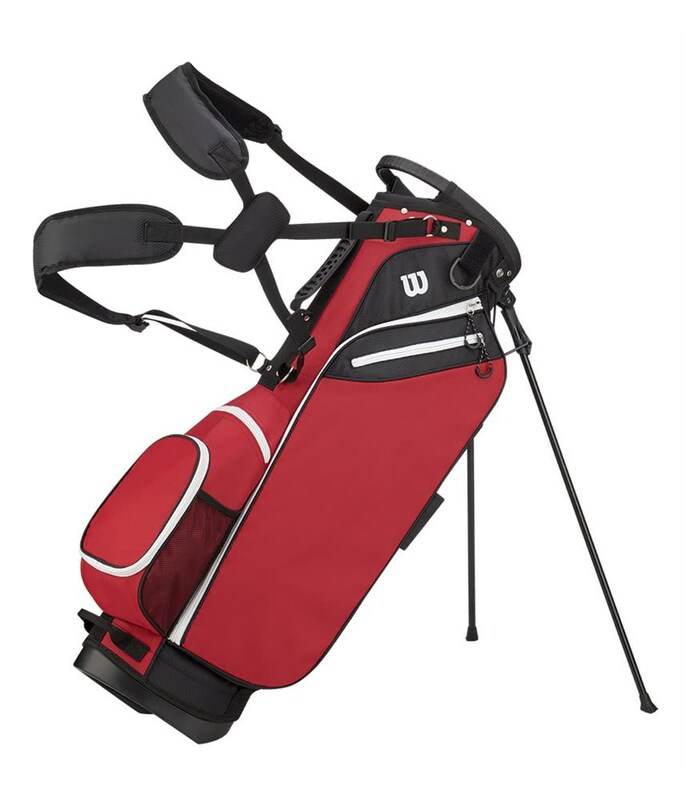 The Wilson Golf Stand Bag features a fuss-free layout, plenty of storage and double strap design that offers exceptional value for money. 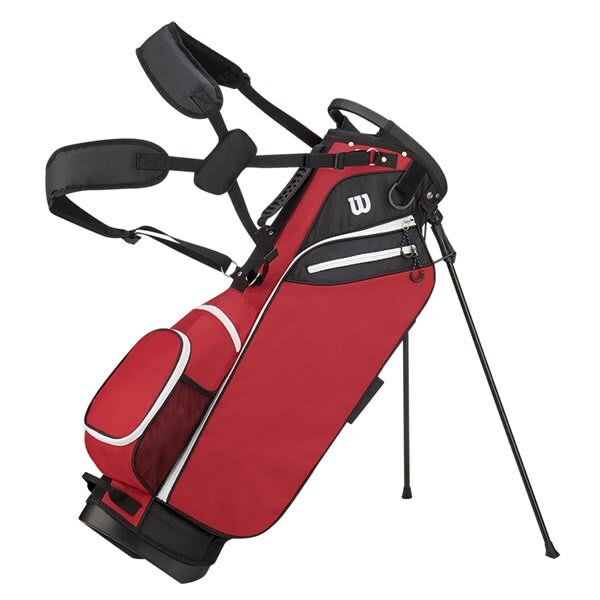 Wilson Golf have used a lightweight construction (4.1 Ibs empty) and incorporated a total of 7 pockets into the design to provide maximum storage solutions. 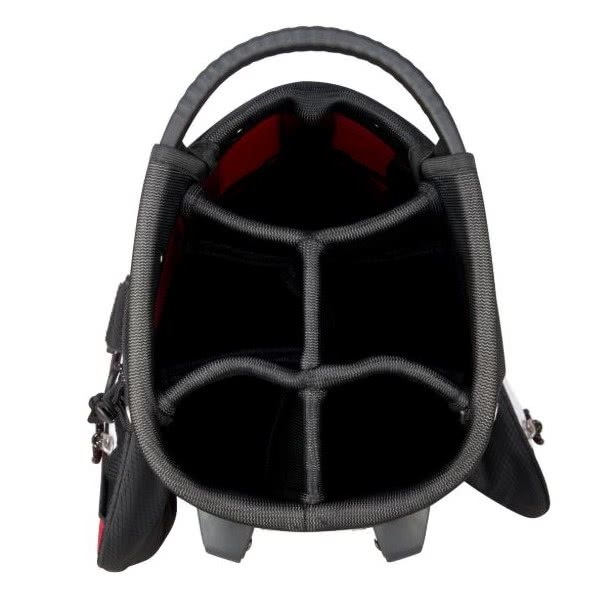 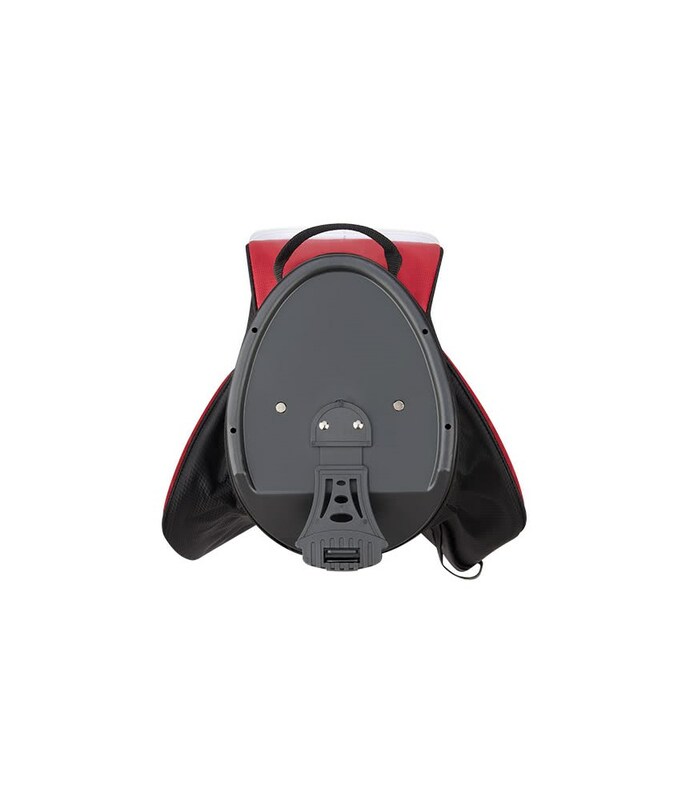 To deliver a comfortable carry with superior balance a four-point harness style double strap has been used along with a hip/lower back pad. 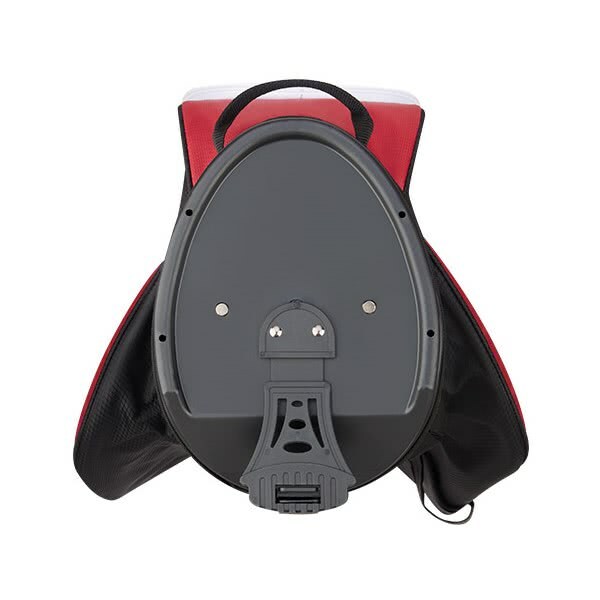 A top mounted stand mechanism features a sturdy leg design with non-slip pads and provides the necessary stability on all types of surfaces. 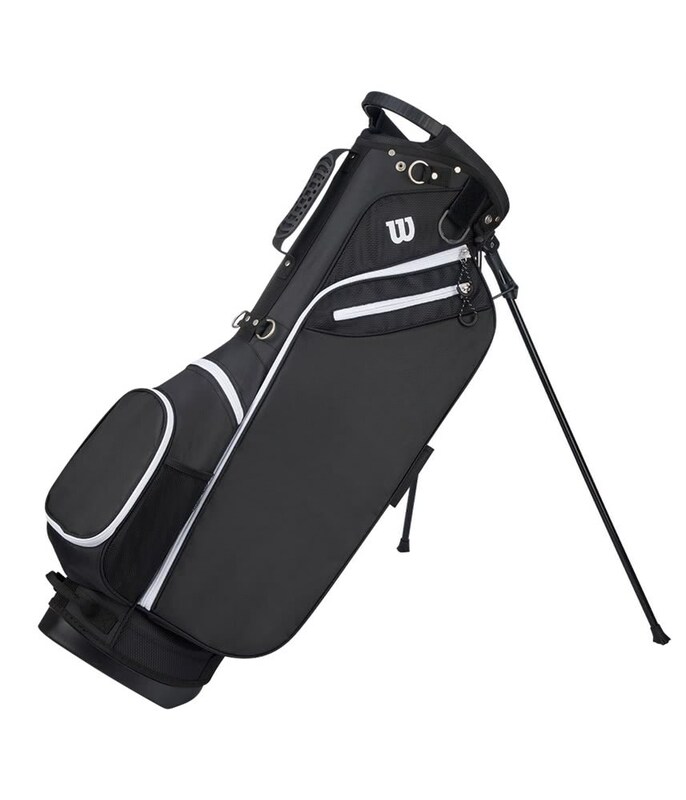 Wilson have used a 5-way divider top measuring 9.5” x 7.5” to provide ample room for a full set of clubs. 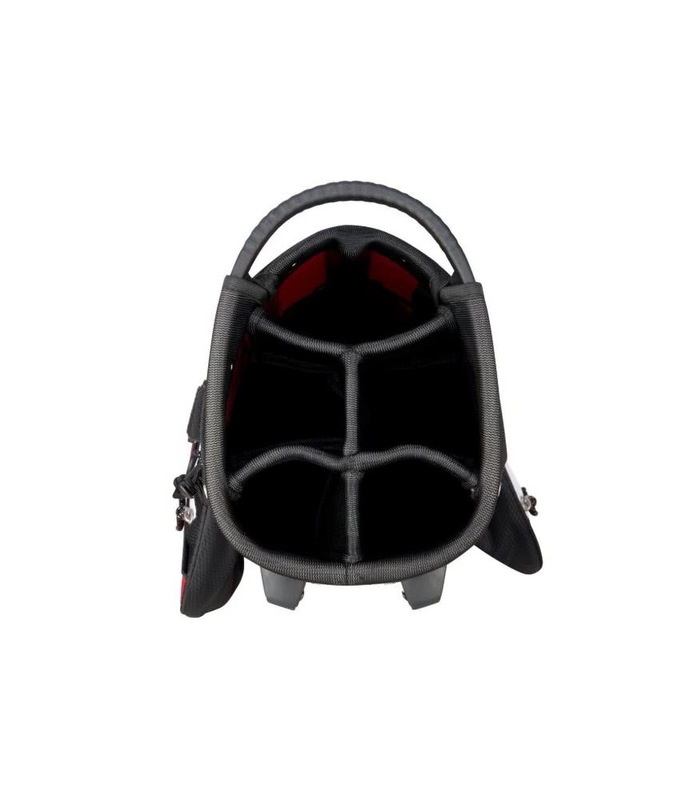 Integrated into the top design is a moulded grab handle that will make lifting and lowering to and from your shoulder incredibly comfortable.